A time ago I posted the traditional family recipe for the yeast dumplings: CHECK IT HERE! 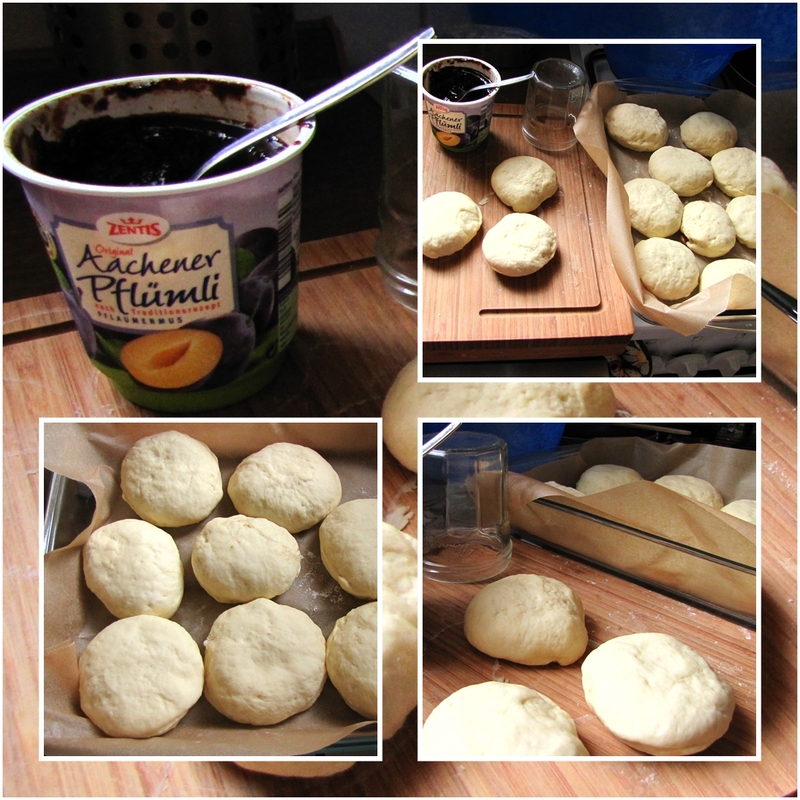 Today I made them again but this time I filled them with plum butter. After rolling and cutting the pieces out, fill one part with plum butter than put the other piece on the top and close it carefully. Cook them on steam for about 10 minutes. You can serve it with vanilla sauce or with bilberries. My granny loved our Sunday lunch and it made me happy to cook something which reminds her old times. Since I love the dumplings the joy was double. 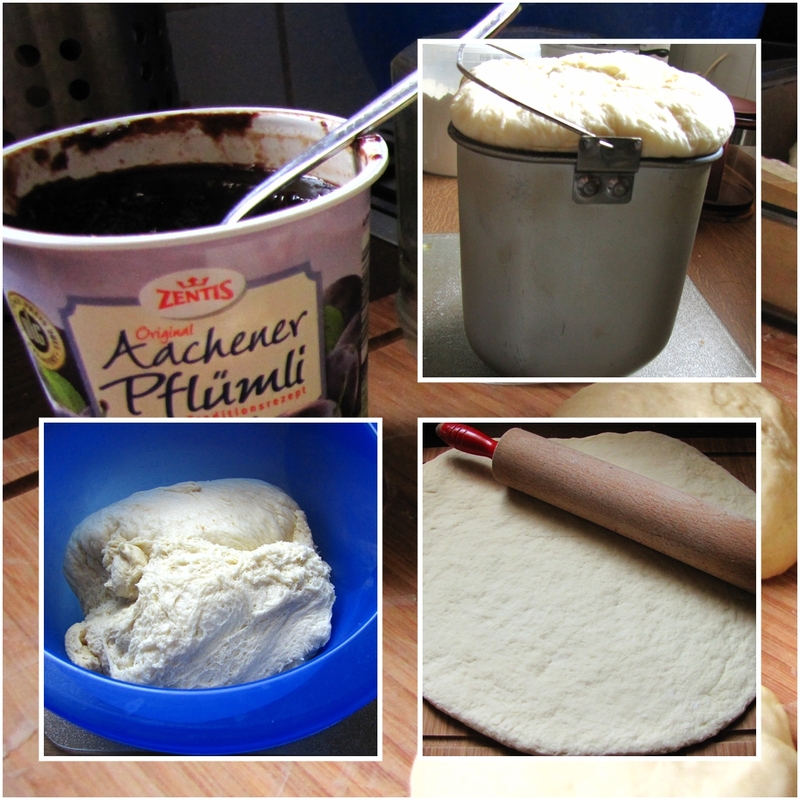 I made the dough in the bread baking machine, I put all the ingredients in and chose the dough programme. After 1 1/2h it was ready. Rolling, cutting out and filling of the dumplings took me about 20 minutes. Cooking takes 10 minutes for one portion. The recipe is in the link I've posted in the beginning of my post. There you can also see how to cook the dumplings on steam using a white towel or cloth.